Earlier in Dirty Projectors' career arc, they often faced criticisms that they were indie-avant garde nonsense; that there was real genius going on inside Dave Longstreth's brain, but that he hadn't yet figured out a way to get us lesser souls to understand it. After all, this was the band whose 2007 album Rise Above was a reimagining of a Black Flag album. But in 2010, Dirty Projectors released Bitte Orca and we -- well, most of us -- began to actually get it. Most of the album struck a balance between obtuse, Mozart-like composition and singer-songwriting for the masses. And we ate it up like chicken wings. Swing Lo Magellan, if anything, is Dirty Projectors and Longstreth continuing to find a way to make utter complexity edible. But that's not at all me saying that Swing Lo Magellan is Bitte Orca Part 2. They're very clearly authored by the same bands, and Dirty Projectors do some similar things on Swing Lo Magellan that they innovated on Bitte Orca, but overall this album is completely different -- a completely different adventure. Adventure -- the only word you can really use to describe this album. Longstreth takes you to so many different places in such a small amount of time, it's exhaustively impressive. You start in a Nicolas Jaar-jazz-percussive world and then are swept onward to a rock 'n roll/folk journey. And that's just the lead track. Dirty Projectors meld folk, rock, Grizzly Bear, electronica, Abbey Road-era Beatles, radio pop, and Nat King Cole all into this one album. There's a part of me that wants to say that this amalgamation of styles shouldn't work, that an album without one specific sound is a lost one. But I just can't. Dirty Projectors do it with such conviction and intuition that it actually comes off feeling natural. So when the upbeat poppiness of "Dance For You" melts into a dark, paranoid interlude a la "Day in the Life," something about it just feels right. The other thing that makes this album so impressive and so worth listening to is each song's orchestration and composition. On "About to Die," the verses are intermittently carried by rolling, syncopated percussion, muted guitar strums, and background harmonies, while Longstreth sings without any set melody. Things unfold like so until a halting bridge, where a sweeping string arrangement accompanies Longstreth's professions. On paper, none of these things look like they should fit together. But on headphones, it's an extremely impressive listening experience. Most of the songs on this album are as exquisitely and diversely composed as "About to Die," whether it be the controlled chaos of the hook on "Just From Chevron," or Longstreth's visceral "Yeahs" on "See What She Seeing." Swing Lo Magellan is a band at their best, just playing. Everything sounds so instinctual -- even as obtuse as parts of the songs are, still it seems as though everything plays out the way it's supposed to. Maybe it's just because they seem like they're having so much fun. "Unto Caesar," one of the albums big standouts, begins like any other Dirty Projectors song (which is already saying a lot). And then there's that huge monster of a hook -- the guitar riff and accompanying saxophone slap your senses awake. But the real brilliance happens halfway through, when the recording process and the finish product seem to become one and the same. Bandmember, Amber Coffman quips, "When should we bust in the harmony," and all of the sudden you're in the studio with the band. There's laughing, teasing, unperfected playing and singing, and it all sounds so... perfect. 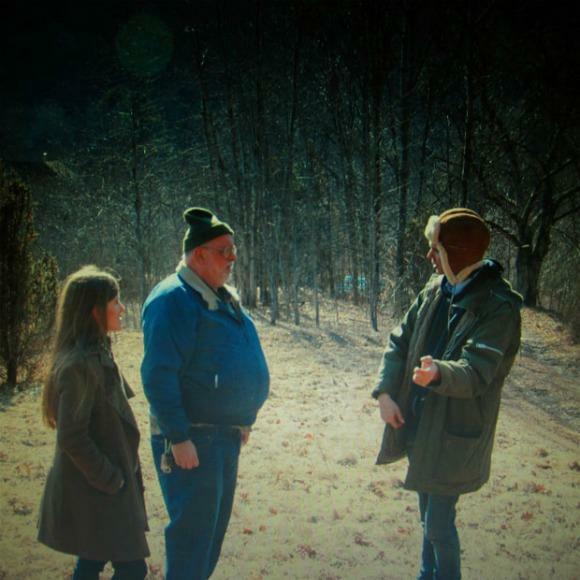 The way that Dirty Projectors take that chaos of all their small parts and produce such discordantly beautiful music is really what makes them brilliant, and is why Swing Lo Magellan is such a great album.